Will Ripknot Games rip you off? [Buy] Yummy cheevos / +1s! Here I come! [Have] These games are already in my Steam Vault. Cheers for the thread shakti. straight pass from me. I'm very tempted to do that but I'm not sure I would risk using it. there's no risk if you only want to lock achievements. pick a game, launch it from sam, then remove all the achievements. 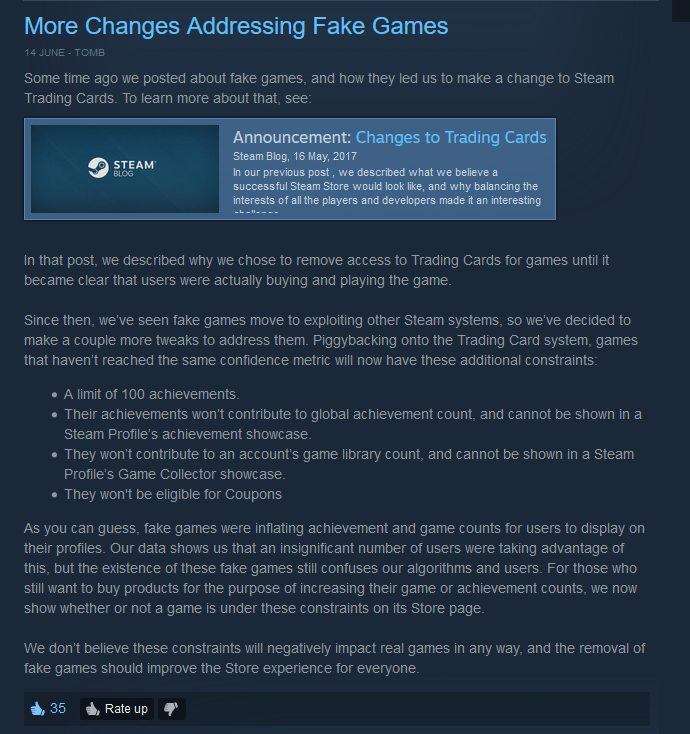 you know if Sam removes the archivement from steam data base? I mean if you use Sam, and then go to the steam store, the archivement will desapear too? I used Sam time ago, when i was a noob on steam, to unlock one archivement, not to lock it. It relocks the achievement so it can be unlocked again but still counts as unlocked in your profile stats so you can't lock achievements in order to improve your AGC. Thank you for the chart Lilly. I might have group buy it for the trivia games but 5k achievement...No thank you, I hate that. 5000 achievements, mhmmm, I see.